"Buddha began to found the religion of India 600 years before the birth of Christ He found the religion of India at that time mainly engaged in eternal discussions upon the nature of the human soul. There was no remedy according to the ideas then prevailing for the cure of religious ills but sacrifices of animals, sacrificial altars and similar methods. "In the midst of this system a priest [?] was born who was a member of one of the leading families who was the founder of Buddhism. His was, in the first place, not the founding of a new religion, but a movement of reformation. He believed in the good of all. His religion, as formulated by him, consisted of the discovery of three things: First, 'There is an evil'; second, 'What is the cause of this evil?' This he ascribed to the desires of men to be superior to others, an evil that could be cured by unselfishness. Third, 'This evil is curable by becoming unselfish'. Force, he concluded, could not cure it; dirt cannot wash dirt; hate cannot cure hate. "This was the basis of his religion. So long as society tries to cure human selfishness by laws and institutions whose aim is to force others to do good to their neighbors, nothing can be done. The remedy is not to place trick against trick and force against force. The only remedy is in making unselfish men and women. You may enact laws to cure present evils, but they will be of no avail. "Buddha found in India too much talking about God and His essence and too little work. He always insisted upon this fundamental truth, that we are to be pure and holy, and that we are to help others to be holy also. He believed that man must go to work and help others; find his soul in others; find his life in others. He believed that in the conjunction of doing good to others is the only good we do ourselves. [sic] He believed that there was always in the world too much theory and too little practice. A dozen Buddhas in India at the present time would do good, and one Buddha in this country would also be beneficial. "When there is too much doctrine, too much belief in my father's religion, too much rational superstition, a change is needed. Such doctrine produces evil, and a reformation is necessary." 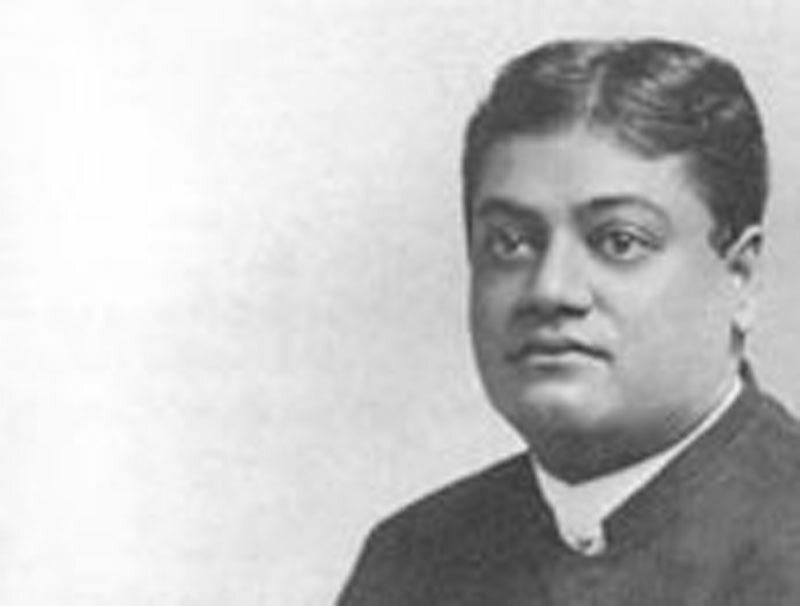 At the conclusion of Mr. Vivekananda's address there was a hearty burst of applause. The Lyceum Theater was crowded to the doors last night at the second meeting of the series conducted by the Vrooman brothers on "Dynamic Religion". Swami Vivekananda, of India, made the principal address. He spoke on the Buddhist religion, and told of the evils which existed among the people of India, at the time of the birth of Buddha. The social inequalities in India, he said, were at that period a thousand times greater than anywhere else in the world. "Six hundred years before Christ," he continued, "the priesthood of India exercised great influence over the minds of the people, and between the upper and nether millstone of intellectuality and learning the people were ground. Buddhism, which is the religion of more than two-third of the human family, was not founded as an entirely new religion, but rather as a reformation which carried off the corruption of the times. Buddha seems to have been the only prophet who did everything for others and absolutely nothing for himself. He gave up his home and all the enjoyments of life to spend his days in search of the medicine for the terrible disease of human misery. In an age when men and priests were discussing the essence of the deity, he discovered what people had overlooked, that misery existed. The cause of evil is our desire to be superior to others and our selfishness. The moment that the world becomes unselfish all evil will vanish. So long as society tries to cure evil by laws and institutions, evil will not be cured. The world has tried this method ineffectually for thousands of years. Force against force never cures, and the only cure for evil is unselfishness. We need to teach people to obey the laws rather than to make more laws. Buddhism was the first missionary religion of the world but it was one of the teachings of Buddhism not to antagonize any other religion. Sects weaken their power for good by making war on each other."